Image: “The 1975” by Begoña is licensed under CC BY-SA 2.0. The 1975 finally released their third album, “A Brief Inquiry into Online Relationships” on Nov. 30, 2018. This is the album I’ve been waiting for since the summer after high school. 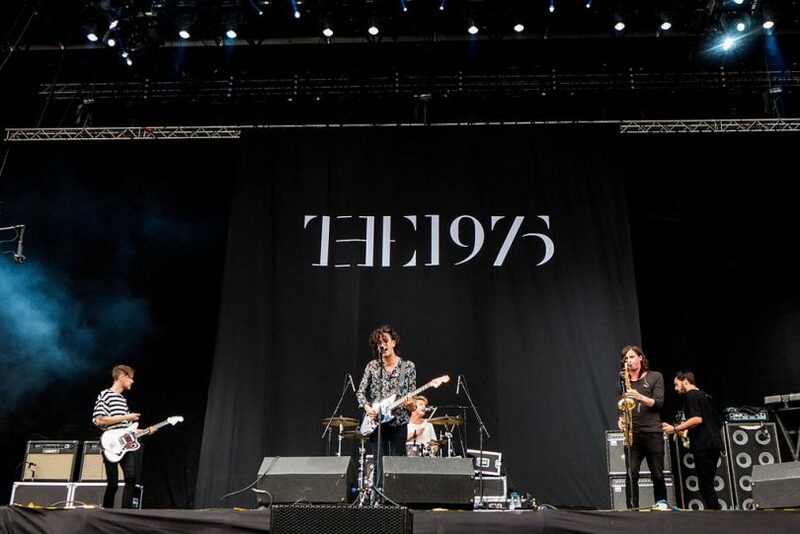 The 1975’s lead singer, Matthew “Matty” Healy, had made the claim that “The 1975” was only scheduled to release three albums. Recently, that has changed. Healy was quoted in an interview with BBC Radio as stating, “[my] drive for music kicked in at such a rate, I thought, ‘Well I’m not gonna stop doing the 1975 now, I’m not gonna do three albums, I’m going to do loads of albums.’ Not so many that we spoil it, but I’m not stopping making records because I just couldn’t bear the idea of it.” Fans like me couldn’t be happier to hear that. In 2017, Healy created buzz that the third album was originally supposed to be titled, “Music for Cars.” Ironically, I’ve recorded my thoughts on the album I’m reviewing for the week while in the car during a lengthy morning drive; the title is definitely fitting. The album kicked off the same as the past two albums. The 1975 self-titled track played its usual length of about one minute with a new spin on it — sounding intense and crisp. “Give Yourself A Try,” track number two, was released as a single back on May 31, 2018. Not unlike past trends, “Give yourself a try” consists of dark lyrics spoken over a catchy melody. Healy slipped in a line about the suicide of a young fan into the single as a tribute. However, there is something comforting about Healy’s illumination of hard lessons in life with the underlying reminder to let yourself learn them — don’t judge too soon. Much like the self-titled track, “How to Draw/Petrichor,” track number four, embodies very intense sound. Petrichor is defined as the smell of rain after a long period of warm, dry weather — and in the track, there are sounds of falling rain mixed with a tune similar to a lullaby. Most of the track, “How to Draw/Petrichor,” is instrumental, but the few lyrics that chime in at the end comment on the rapid spread of misinformation and overuse of the internet. I suppose he’s right. Nothing is certain when entering the world wide web. The fourth track, “Love It If We Made It,” released as a single on Jul. 19, 2018 and captured another unique aspect of relationships in the technological age: hopelessness. “Love It If We Made It” mentions injustice in our culture and reflects on the lack of power millennials feel toward that injustice— the twinge of sad irony in the chorus as the icing on the cake. The fifth track, “Be My Mistake,” uses the most natural sounds I’ve ever heard from “The 1975.” Light guitar strums over a piano in a somber tone and any electronic sound is absent from the vocals. It feels real. It feels raw. It’s my favorite track on the album. “Be My Mistake” provides an answer the inquiry posed in “TooTimeTooTimeTooTime.” It tells a story of cheating. Little details, like wearing jeans bought by his girlfriend and drinking to his limits, tug on my heartstrings the most. “The Man Who Married a Robot/Love Theme” has got to be the strangest track on the album, although it didn’t feel out of place in the slightest. Soft piano strokes play under a robotic voice telling a story of a lonely man addicted to the internet; it’s a bit of a commentary piece on millennial dependence on technology as a replacement for social interaction. It’s fairly obvious that the 13th track, “Mine,” has jazz-inspired elements. On my first listen, the track sounded sweet and comforting to a specific girl when the track is actually just explaining that the narrator has trouble with commitment. I have to admit that the swooning sounds are misleading to listeners that don’t focus much on the lyrics. The final track emphasizes a bit of the correlation between technology use or social media use and poor mental health in young people. It gives a bitter ending to all of the beautiful music compiled on the album, but at least young listeners are provided some comfort in the fact that they are not alone in feeling this way. Knowing the personal struggle Healy has gone through, even just in preparation for the album, “A Brief Inquiry into Online Relationships” feels sad, yes, but also healing. Feelings — even the negative ones — are required to be released for us to feel sane again. Of course, art always causes its audience to question their practices. In this case, it’s technology.